Crema de Camarones is a creamy soup from the city of Cartagena de Indias in Colombia. This beautiful city is located on the Caribbean Coast and is the capital of the Bolívar department of Colombia. 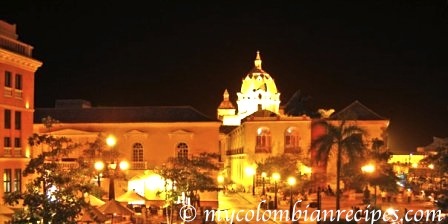 The city of Cartagena was declared part of the UNESCO World Heritage in 1984. This wonderful city has old Spanish colonial buildings, fantastic beaches, delicious food, and is one of Colombia’s most important tourist destinations. Growing up in Colombia, whenever my Tia Consuelo said she was making this Crema de Camarones, I begged my mom to go to her house so I could have this soup! 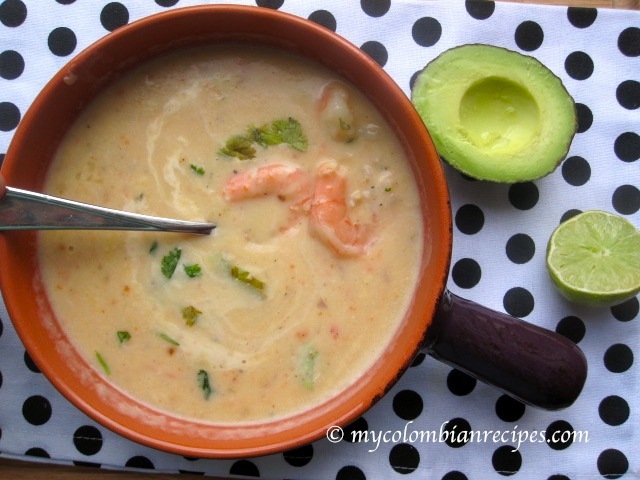 Thick, rich and creamy, this shrimp soup just soothes me from the first spoonful. This is a simple yet flavorful dish that I find incredibly comforting. Place the shells in a small pot with the water. Bring to a boil, reduce the heat to low and simmer, uncovered, for about 15 minutes. Strain the liquid and discard the shells. Meanwhile, in a medium pot over medium heat, melt the butter. Add the onion, garlic and carrots. Cook until soft, about 2 minutes. Add the flour and season with salt and pepper. Stir and cook for 2 minutes more. Gradually whisk in the warm milk, reduce the heat to medium-low and continue cooking for about 3 minutes. Add the mashed potatoes and stir until combined. 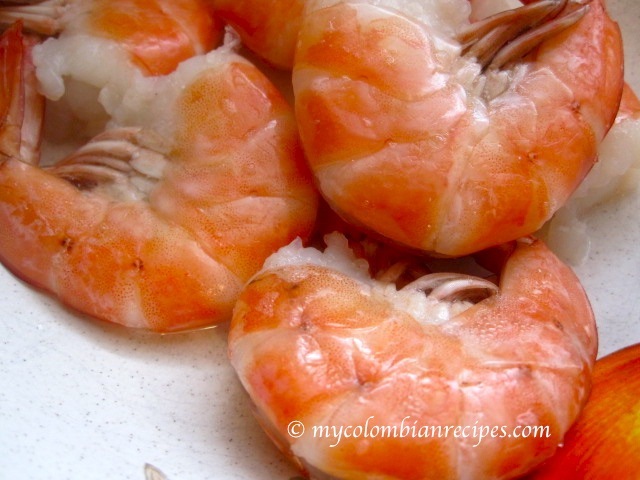 Add the shrimp water and cook for about 5 minutes more. Add the shrimp, cream, wine, salt and pepper. Cook for 4 minutes more and adjust the seasonings to your taste. Ladle the soup into bowls and garnish with cilantro or parsley. Serve immediately. Oh it looks creamy and filling, my favorite kind of soup. 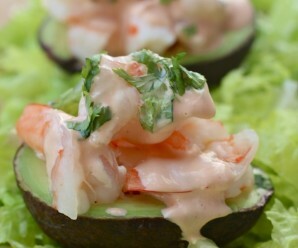 Even better with shrimp in it. Thanks, Evelyn! It is delicious! 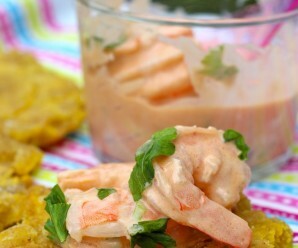 I don’t usually think of shrimp in creamy soups, but this I can totally see!! Love it! Looks so rich and tasty. 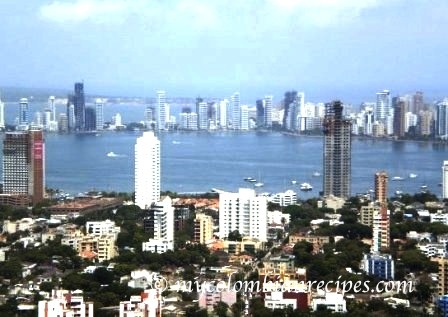 Would love to visit Cartagena one day! Thanks, Lori….It is a beautiful city! Looks absolutely creamy and delicious, Erica! I am lactose intolerant, and so I cannot have the milk or cream~~~do you think that if I substituted soy milk for the milk and cream, it would still be ok? Laura..You can use coconut milk! 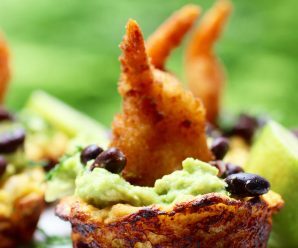 I made this recipe last night, it was delicious! The broth had a really nice light shrimp flavor. My only changes would be to chop up the shrimp a bit (if you use jumbo like I did), and use a little more garlic (if you love garlic as much as I do). I’m definitely going to bust this out when we have company. Thanks so much for sharing!!! I made this today and it tasted incredible, thank you so much for this recipe! 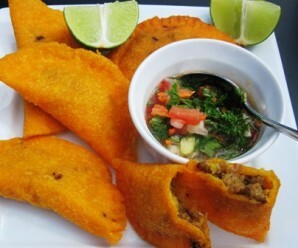 This recipe looks like what I ate in Cartegena last week. Can’t wait to try it.